Just a few hours before a Saudi Arabia-led coalition of 10 countries launched an offensive against the Houthi rebels in Yemen, I was aboard a flight to the United States capital, Washington. Soon after my arrival, I learned from the Saudi-US Relations Information Service (SUSRIS) website that Saudi Ambassador to the United States Adel Al-Jubeir was about to issue an important statement concerning the regional situation. What followed is already making headlines across the globe. It was clear that the situation in Yemen had reached a dead-end and some concrete action was very much required to control the impoverished country in the Arabian Peninsula from slipping further into chaos. I recall writing an article a few weeks ago for Arab News titled “Yemen is running out of time” in which I had expressed similar fears over the worsening situation of the country. It would not be an exaggeration to say that Yemen and its inhabitants have been faced with crises unprecedented in its long and rich history. During the past few months, the Houthi militias were continuously extending their tentacles in the country and overthrew the legitimate government further making the situation complicated. The country had virtually come to a standstill due to the absence of a government. Due to the unrest, civic authorities had ceased to exist and all service sectors such as electricity and education had simply vanished. After seizing some major cities, the Houthi militias were eyeing other parts of the country and Yemen was surely on the path to disintegration. People well-versed in Middle Eastern politics would agree that in the wake of a complete Houthi takeover, not only Yemen but the entire region would also be severely affected. Yemen is strategically very important to Saudi Arabia due to which it had become necessary for the Kingdom to take some drastic measures to restore normality in Yemen. This was a little background information for people who wish to know the reasons behind formation of the coalition led by Saudi Arabia. The mission “Decisive Storm” is aimed at destroying the command posts and the anti-air raid capabilities of the Houthi rebels. The mission will continue until the destruction of all designated targets so as to ensure that the Houthis no longer pose any threat to Yemen and the region. Helping the legitimate Yemeni government back to power is necessary to help the country get back on track. It is an open secret that the current crisis in Yemen is the result of the direct involvement of Iran. Tehran had supplied arms and provided logistical support to the rebels. This assistance was not meant to help Yemen in any way but it was solely for the purpose of expanding its influence in the region. In a frenzy to export its ideology across its borders, Iran has wreaked havoc in Yemen, Syria, Lebanon and Iraq. According to reliable reports, Yemenis have the highest per capita number of weapons and we are not talking about small arms. Here we are dealing with anti-tank and anti-aircraft weapons that can wreak havoc in the region through the smuggling of these lethal weapons to other countries. This situation also poses a serious threat to Bab El-Mandab, a strategic route for international trade. The coalition has been formed in response to the appeal made by Yemeni President Abed Rabbo Mansour Hadi to help quell the ongoing unrest in his country. According to many analysts, Iran which had intervened in the internal affairs will leave the rebels in Yemen to their fate because the goals of the Iranians is to foment unrest in the area by stoking sectarian tensions and use the widening sectarian divide to their advantage. The Iranians want to do this for the sole purpose of dominating the region at a time when many Iranians are suffering from domestic problems. 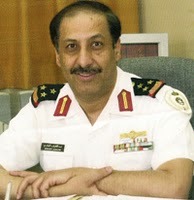 The Saudi Arabia-led operation “Decisive Storm” is of great significance for the region, as it will help contain Iran. It is known to many that Saudi Arabia had in the past tried to give many signals to Iran that it should better avoid interfering in the neighboring Arab countries but to no avail. Iran and its proxy, the Houthis, had miscalculated the limits of Saudi patience. Under the leadership of Custodian of the Two Holy Mosques King Salman, Saudi Arabia wants to establish peace in the region and wishes to resolve all issues through peaceful means. Unfortunately, Iran and Houthis did not want Yemenis to live peacefully due to which Saudi Arabia was left with no choice but to teach these miscreants a lesson and to make all-out efforts to pull Yemen out of this dark tunnel. Written by Abdulateef Al‐Mulhim. Pulling Yemen Back from the Abyss reprinted with permission of Arab News and Abdulateef Al‐Mulhim.